History is full of companies that either quickly corrected course to accommodate changes in the market, or drifted off into failure because they did not adapt. In the mid-1990s, Microsoft's then dominate Windows PC platform was challenged by Netscape, Java and other technologies that intended to make the World Wide Web an open platform offering a less restrictive, cheaper, decentralized alternative to Windows software. Microsoft swiftly and radically changed its direction in response to the threat posed by Netscape Navigator. It used its existing position with Windows and Server to establish Internet Explorer as the de facto web browser, diverting much of the growing momentum behind Netscape and the open web to instead enrich its own Windows platform. However, a decade later Microsoft was completely blindsided by Apple's iOS in phones and tablets. Additionally, Microsoft's parallel efforts to push into Google's search business largely failed. Today, Microsoft is enjoying more success in fighting Amazon for a slice of the enterprise cloud pie. What made Microsoft successful-- or not-- in coping with various major transitions in tech might at first glance appear to be its leadership. However, a key factor in determining its level of success in navigating through a major market transition was also the quality of the technology it had available. Netscape's goals in the 1990s were based on relatively simple web technology. 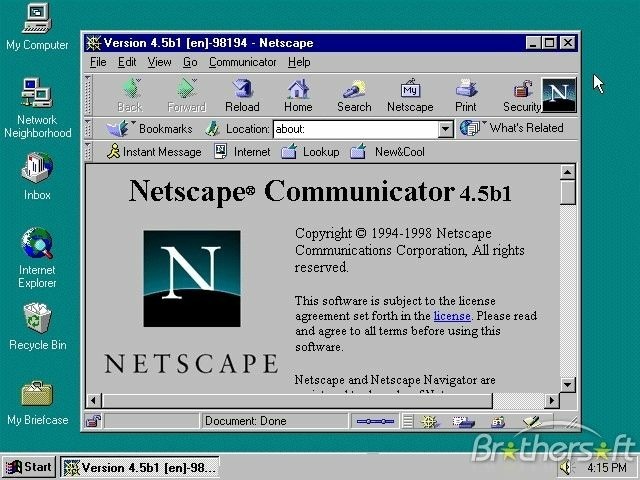 Microsoft was able to acquire the same NCSA Mosaic browser code Netscape itself had sprung from to create its own IE browser. It then flexed its market muscle to tie IE into its existing Windows brand and platform in a way that was devastating to Netscape, a company that hadn't even yet figured out how it could competitively monetize its business. However, a decade later Microsoft had no way to buy a copy of iOS. As Apple continued to rapidly build out its extremely profitable iPhone business, following up with 2010's similarly lucrative iPad, Microsoft was stuck with legacy Windows code tied to Intel processors-- tech that was not competitive in either phones or tablets. Efforts to build an "iOS-killer" from scratch (including Windows Phone and Windows RT) took far longer than anticipated. Neither could ultimately gain traction fast enough to derail the threat from Apple before iOS established itself as the commercial leader in enterprise and consumer mobility. Similarly, Microsoft's efforts to build or buy up search and surveillance technology to rival Google's wildly profitable, ad-supported online web services never managed to replace "Googling" with "Bing," despite massive, multibillion-dollar efforts by the company to diminish Google's position. The Windows and Mosaic technology that worked in the 1990s to keep the web tied to Windows PCs was not enough to keep Microsoft relevant in either mobile devices or in online search ads. In cloud services, Microsoft's Azure is much better positioned to compete against Amazon and Google. That's resulted in a competitive market for cloud services that appears capable of supporting multiple successful companies. Investors today have assigned a high value to Microsoft despite the company having dropped the ball in mobile devices and search. Yet, at no point did anyone seem to be concerned that Microsoft was making "most of its money" selling Windows licensing before it moved into applications and then servers and then cloud services. Apple naysayers like to suggest that the company is troubled because it relies on iPhone sales to make up most of its revenues. That's because smartphone sales overall are not rapidly growing anymore. It's also popular to say that the new markets Apple has built over the past decade, from tablets to wearables to home accessories to Services, are all "relatively nothing" compared to the company's $166.7 billion in annual iPhone revenues. In reality, Apple's "other businesses" beyond iPhone and Mac currently amount to an additional $73.4 billion. That's nearly three times Apple's separate Mac operations that generate an additional $25 billion annually. Add Apple's mostly new, post-iPhone businesses with the pre-iPhone Mac business it has maintained -- and even grown despite about a 25 percent decrease in overall PC shipments over the last decade -- and the total you get for Apple's non-iPhone business is significantly more than half the size of iPhone itself. One can't say Apple's non-iPhone revenues are "nothing" unless they also say the same of Microsoft's or Google's entire revenues! Apple's $100 billion in annual revenues outside of iPhones is a gigantic operation, and the fact that such a massive business can be overshadowed by iPhone revenues says more about the scale of iPhone demand than of the "insignificance" of everything else Apple is doing. Apple's largest and fastest growing new segment is Services, now a $37.2 billion enterprise annually that is growing faster than any of its hardware sales. But despite that parallel success, and the current weakness in the smartphone industry, Apple's iPhone revenues are not facing anything like the collapse of Microsoft's Windows licensing over the past decade. That hasn't stopped some analysts from imagining a fantasy of iPhones being an imploding business that's melting under its own weight. Pundits also like to point to the examples of Blackberry and Nokia-- both of which were once on top of the world in making mobile phones until demand for their products rapidly retreated into oblivion. Perhaps the same thing could occur to Apple! But, that's really backward logic for multiple reasons. First, every marginally successful smartphone maker makes most of its revenues from smartphones. Samsung's IM Mobile division generates nearly zero profits outside of its smartphones sales, despite the fact that the group tries to sell a broader assortment of various other tablet, PC and wearable device hardware than Apple. Huawei, Lenovo, and BBK's Oppo, Vivo, and OnePlus brands clearly earn an overwhelming majority of their profits from phone sales because there simply isn't any comparable amount of money to be made in commodity tablets or PCs or other hardware. In fact, the only companies that don't make most of their profits from phone hardware are the smartphone failures. If Amazon, Microsoft, Motorola, Nokia, or Google had been successful in challenging Apple's iPhones, they'd now be making most of their money from phone hardware too, simply because smartphones are a product that has been in high demand at prices capable of supporting large profits for many years now. Apple has simply capitalized upon that demand in a way that has been dramatically more successful than any other product category in the history of personal computing. If Fire Phone hadn't flopped, would investors be mad most of Amazon's profits were coming from a smartphone? 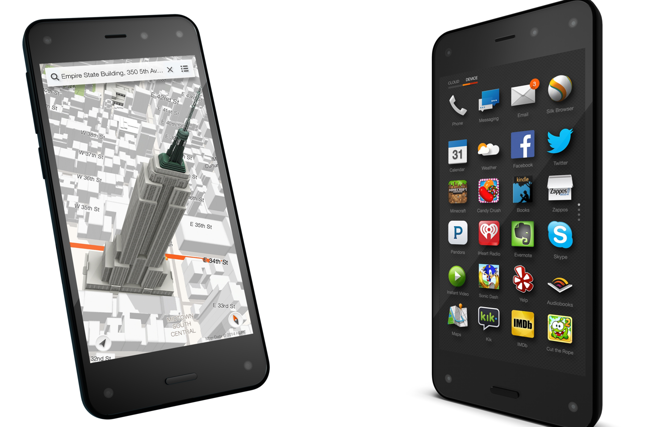 Imagine if Jeff Bezos' Fire Phone hadn't been a flop. Would analysts be telling us that it was a big problem that all of Amazon's profits were now coming from sales of a successful new hardware product? It appears not. Even the Fire Phone's salvaged remains, which Amazon has used to power its Alexa service and loss leader Echo and Kindle Fire hardware, have been breathlessly praised despite accomplishing next to nothing for the company commercially or strategically and delivering a fat zero in profits, directly or through increased online sales. 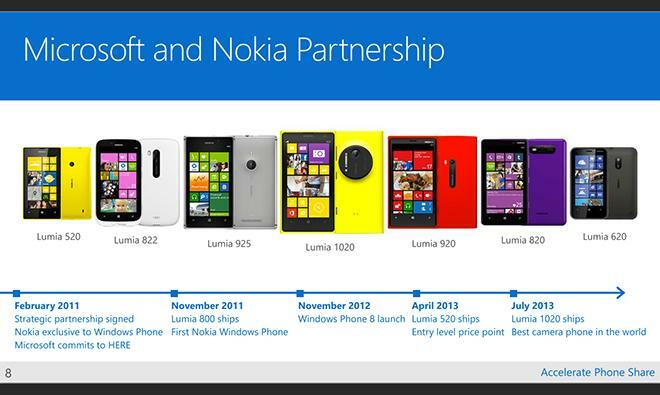 Imagine if Microsoft's Windows Phone had taken off and the world had remained tethered to enterprise-demanded Windows, rather than being cracked open to consumer choice by BYOD policies. Would anyone be concerned that Microsoft was now making so much of its revenues and profits from smartphones, or that its acquisition of Nokia had worked out so well? No. The world of punditry is currently enthralled that Microsoft and Amazon are now each bringing in about $20-25 billion annually from cloud services. If they were earning Apple's $166.7 billion in iPhone revenues, would AWS and Azure be considered worthless because each is "only" about the size of Apple's Mac revenues? The arrogant advice and troubling concerns that various pundits and analysts are voicing about Apple keep coming despite a solid track record of successfully navigating new transitions in tech. It seems beyond their grasp that Apple isn't just experiencing waves of luck that each manage to delay its imminent demise by a few more months. The reality is that Apple was once relying on Macs to make the majority of its revenues, but when demand for Macs appeared to stop growing, it introduced iPod. Shortly afterward, the majority of its revenues were coming from personal audio devices. Eventually, it appeared that they wouldn't be growing anymore. That's when the company introduced iPhone. Nobody in pundit-land predicted iPod, and none saw any world-changing prospects for iPhone-- until they became undeniable in retrospect. Given that Apple has been the only company in the consumer electronics industry to deftly and successfully transition from one primary revenue source to the next, wouldn't it seem likely that if there is something that's about to replace iPhone, that Apple would probably be the one to do it? Across the last few years, there have been two fronts in the War on iPhone: one being the ambitious replacement of smartphones with a futuristic AR/VR wearable along the lines of Google Glass or Microsoft Hololens or an advanced smartwatch wearable, the other being a more pedestrian replacement of Apple's aging iPhone with an all-new rival phone design featuring a full-face display with minimal bezel, typified by Andy Rubin's Essential phone. Yet both iPhone attack wings ran out of resources before they could take flight. 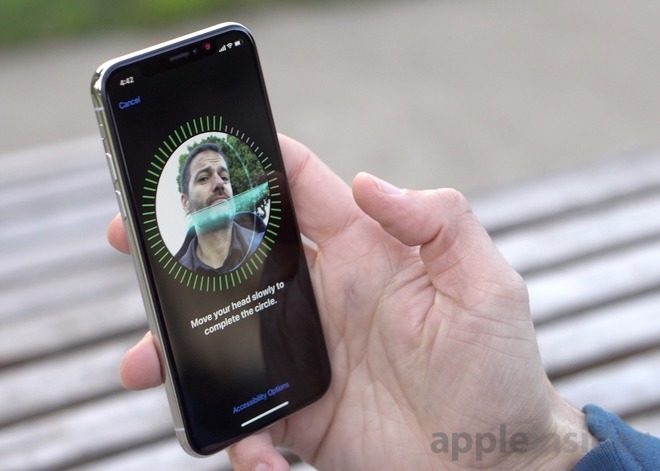 As they fell from the sky, Apple launched its own vision for the future: the Face ID driven iPhone X with a front facing depth camera tuned to make AR a selfie-focused feature of smartphones, rather than a premature replacement of the smartphone in the form of goggles. Apple had also successfully developed and deployed Apple Watch as the only successful watch product and moved on to AirPods before any other watchmaker or alternative wearable could gain any traction. So Apple has trampled every potential iPhone replacement from companies big and small, while continuing to make-- and radically modernize-- its own iPhone. At the same time, it added Apple Watch and AirPods as significant new businesses that entrench rather than cannibalize its iPhone business. Why was Apple able to win every battle in the War on iPhone? It had to do with technology. In 2007, Steve Jobs announced that Apple Computer would change its name to simply Apple, Inc. in recognition of the fact that it was now building more than just conventional personal computers. That occurred just prior to the peak of iPod sales, right at the introduction of iPhone. But Apple didn't stop building Macs, and iPods didn't really go away; instead, the music player morphed into a software feature of iOS devices. Additionally, iOS devices themselves were really a mobile-optimized version of Apple's Macs. Apple's ability to take its existing primary product category and technology portfolio and optimize it to serve a larger, broader market has consistently been key to its survival and dramatic growth. 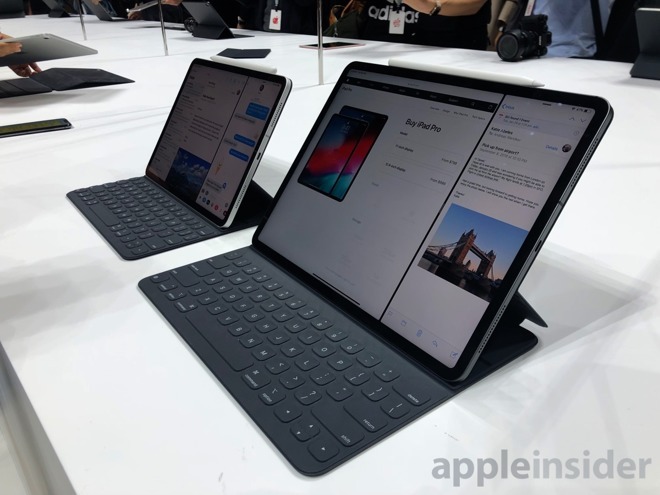 Apple's ability and capacity to refashion its desktop Mac platform to power a new set of iOS mobile devices aimed at non-technical users wasn't a fluke. The fact that it took the company from sales of a few million Macs per year to the mass production of more than a quarter billion computing devices annually is also not a mistake or an intractable predicament, even if most of those devices are currently branded as "iPhones." Peak iPhone is no more of an end for Apple than the apparent reaching of Peak Mac sales in 2001, or the Peak iPod occurring in 2008. The iPhone installed base will continue to grow, previous products will continue to expand or morph into new ones, and entirely new product categories will develop-- we have more reason to believe that Apple will continue to deliver home runs than we have supporting the idea that Apple's failed competitors will whip up some surprise sauce that will turn any significant number of Apple's loyal customers into devoted buyers of a Pixel, Surface, Essential, MiPhone, Galaxy or a OnePlus. Apple's adept ability to adapt its existing technologies is what enables it to keep winning these War on iPhone battles. So why do so many analysts and pundits express so much blind faith in companies that have repeatedly failed to beat Apple, and exercise such cynical doubt in Apple? They've been broadly saying that Apple was one mistake away from failure for a solid twenty years now. That's a long time to repeat the same incorrect prediction. Apple's ability to leap to new product categories is particularly notable when you consider that other companies were wholly unable to make these leaps. Various PC makers, including the PC platform giant Microsoft itself, were unable to repurpose their existing PC technology portfolio into successful mobile devices despite far more years of trying, far greater initial resources to work with compared to the Apple of 2006, and broad industry participation. Pocket PC, UMPC tablets, Tablet PC, Windows Mobile, Slate PC, Zune, Windows Phone and Windows RT were all massive failures. The open source community -- partnered with such titans as Intel, Nokia and Samsung -- also failed to successfully take desktop Linux into the mobile world. LiMo, Maemo, Moblin, MeeGo, Firefox OS, Sailfish, Tizen, KaiOS and Ubuntu Touch were all well-intentioned efforts that have really gone nowhere in either personal or enterprise mobile devices. Google's Android wasn't based on an existing desktop platform, but rather on Sun's mobile Java ME middleware. Android makes use of the Linux kernel the same way Tivo did. But the Android application platform is not Linux; it's Dalvik byte code. And conversely, Google has been unable to successfully take its Android/DEX model into new computing form factors including tablets, media devices, game consoles or wearables despite a decade of intense but ultimately failed efforts. Apple's mature Mac development frameworks and scalable operating system gave the company the ability to rapidly innovate its way into a smartphone market that was thought to be essentially impossible to enter due to the competitive threats of so many large, entrenched rivals. On the other hand, Android merely replaced licensed platforms like Symbian, Java ME, and Windows Mobile with software that was free. The companies that couldn't compete with iPhone using those earlier platforms (including Blackberry and Nokia) are not harbingers of Apple's upcoming fate. Instead, they foreshadow today's set of companies making use of the Android platform, which is similarly just "good enough" for today's smartphones but lacks the capacity to successfully support what's next. iOS, on the other hand, has already successfully created massively new businesses in tablets, home appliances, and wearables-- even as the original Mac is still generating leading profits in the conventional PC space. Android is still shipping on lots of units, just as Java was once shipping on lots of units from Nokia and Blackberry. But in both cases, the underlying technology is not creating successful new products the way Apple has spawned multiple, multibillion-dollar new product categories from iPad to Apple Watch to AirPods. The fact that Apple called its product iPhone and not "Mac Mobile" created an arbitrary boundary in many people's minds that the two were unrelated. But in reality, iPhone was as closely related to the Mac as a mobile device and desktop PC could be, albeit using a new set of interface guidelines, policies and design changes imposed to make it successful as a mobile device for the mass market. In comparison, Microsoft's own "Windows Mobile" was radically different from its desktop Windows in virtually every technical respect apart from carrying forward the same old PC desktop interface, its software market with no security for users or developers, and its other legacy ties to the 1990s PC world that held it back. So from the 2000's past to the recent present of the 2010s, Apple has proven capable of exercising its rapidly lithe, innovating ability to take its existing technologies and create new computing forms that retain its influence over the most commercially successful and strategically important markets-- not through monopoly licensing but by making the products that most people want to pay a premium for. That winning strategy of the past also appears to be the best suited for the future. Consider Apple's future in PCs and iPhone, detailed in the next two segments of this series. A lot of the "doom-and-gloom" surrounding Apple is nothing more than social media drama deliberately created. Apple will push the boundaries of what we consider as personal computers. John Srouji is doing great work hardware-wise when it comes to Apple Ax chipset. The only thing Apple has to do is keep evolving iOS into a more robust mobile operating system and unlock more features that we know it can handle. I really look forward to a day when I can do all the work I would usually do on my PC right on my iPhone XS Max or iPad. It is always a question of expectations. For some, “surviving” means literally not going out of business, for others, it means being profitable, and for others again to maintain the most valuable brand etc. Will Apple remain on the top of market cap, perceived as innovative, market share in certain markets? Maybe. Likely not forever. Actually, I think that the next number one companies for the time to come in terms of market cap will be Facebook and amazon - whether I like it, or not. Would that fact as such render Apple any less meaningful, or “good”? Exactly. It wouldn’t. This article does not provide any support for its premise that "a media narrative is unfolding that Apple must ditch its reliance on premium hardware." The only article it cites, the Mims article, argues that Apple should shift its focus from Mac to iPhone, iPad, and other consumer products (not services). The Mims article even suggests against a shift to services, noting the failure of Apple's contemporaries to capitalize on a services shift, and that Apple's "traditional weakness . . . is cloud services." Apple has been the one pushing the services story, and working to shift the focus of investors from hardware to services, which has included discontinuation of reporting unit hardware sales. Whether Apple can successfully pivot to services remains to be seen, but based on Apple's previous efforts in the services arena, the odds are not great. Apple is a great hardware company, but its services offering have not been good at all. Even its operating systems have started to become bloated, with security issues and bugs occurring at higher rate than ever before. Those of us who used iOS and MacOS in the mid to late 2000s remember a time where bugs were a rare occurrence. While there may be some publication out there that has asserted that Apple must shift away from hardware, the consensus is more an expression of doubt as to whether can pull off a shift to services, rather than a united call for Apple to shift to services as this article alleges. The real consensus in the media is that Apple must continue to focus on making great hardware, while monetizing that hardware through services. I hear what he is saying. I’ve been reading article after article since that implies Apple is doomed because the IPhone is failing. They painted this picture even when the opposite was happening. Remember the year of claiming you the iPhone X wasn’t selling when it was actually the top selling iPhone with total record sales? I agree with iOS evolving. It might be time to fork iOS into one for tablets, and one for phones. Or, the ability to toggle on advanced features, like a proper file system. The expectation is for Apple’s A series chips to power MacOS laptops. The alternative is for iOS to “grow up” in functionality. 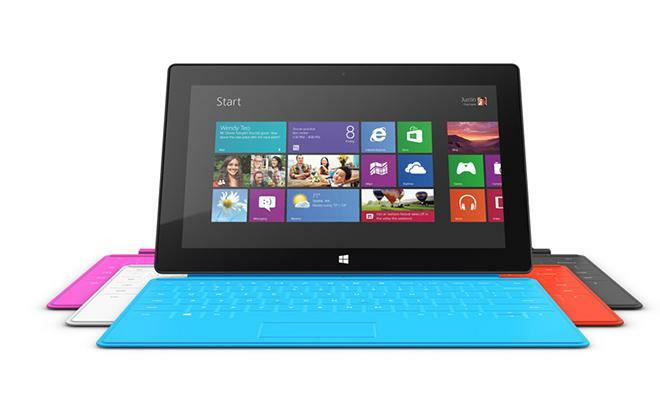 In my mind, the 12.9” iPad & the A Series laptop need to run the full Office 365. I’d also like to see iWork become something more like Office 365. It had promise but the effort has fizzled... If Apple wants services revenue to grow, that would be a good place to start. Microsoft knows business and sustainable revenue. People will cut video & music subscriptions when money gets tight. Business’s can’t cut the tools to let the people do their jobs. Apple is all about the ecosystem, but the customer lock-in isn’t as great as they hope. Currently, their is nothing they make that is as “sticky” as MS Office. Without that, there is nothing to prevent them from becoming the next Blackberry. For example, if I switched to Android devices it would be annoying, but after a month it would be business as usual. I’m not in the “sky is falling” crowd. Apple remains dominant in several areas, but they can’t sit on their laurels. The most interesting thing Apple’s been working on is medical records and devices, those have the potential to be “sticky” and helps them keep their dominance in the other areas. Very good article, indeed. I wonder what sits behind closed lab doors at Apple and other vendors? It would seem as if there aren’t any truly disruptive technologies ready to replace the smartphone quite yet. What we’re seeing right now is kind of mundane iterations of a product category that reached its peak maybe a (couple of) year (-s) ago. One concept I personally would like to see materialized is the opportunity to use one device across several user scenarios, as with the Microsoft Continuum line. Their example was poorly executed with too many compromises, but with the eventual convergence between iOS and MacOS it could be really useful. We’re already seeing bits and pieces, like the handoff feature or the ability to use and iPad/iPhone as an extended display for the Mac. Let’s go the full nine yards, using a single iDevice to plug in both at work and at home, as well as to connect to the slave screen/keyboard combo during the train commute. I mean, with an Apple Watch 4 LTE and a pair of Airpods you can already take calls and perform most basic PDA tasks. What if the watch could also connect to whatever ”slave” screen and keyboard available and, preferably, integrated in the seatback and coffee tray in front of you? Wall Street cares about what are you doing over last quarter or the same quarter a year ago. If you are not growing your revenue (or selling the promise of future growth) they sell your stock regardless of how successful you have been up till now. And with the benefit of hind site choosing Microsoft to compare Apple to is convenient for your narrative. But right now nobody but a few fans on an Apple fan site really care. For many, Apple could just as easily be the next GE or Kraft Foods. And it is not just the hardware and software but the brand reputation is taking a hit (and is being beaten by the likes of Disney). So until Apple releases a product that is going to drive quarterly growth, analysts will have doubts and everyone will be a genius on what they should or shouldn’t do. Maybe the IPhone X year was just a bump in revenue. It brought in the profits for its Year but it did not expand the user base significantly the way the iPhone 6/6S did. Thus sales are down with the iPhoneXS despite better tech(much better camera,4x4=antennas.). I know I’m waiting for the iPhone XIS in 2020 or XII in 2021 for 5G or for Solid State batteries. Probably will pick up a watch 5 or 6 LTE in the meantime. There is no need for iOS to run the full Office 365. There is almost no need for it, unless you are really attached to Word, Excel, or Powerpoint. At that point, it is now a matter of preference. Also, that desire is on Microsoft's shoulders to make it the full experience, not Apple's. I do agree that Apple should put more work into their iWork suite of tools. They are an excellent toolset that does need some serious love. One thing I did want to mention is Project Marzipan (I think that is how it is spelled). This alone should be a huge indicator as to where Apple is heading. It isn't that iOS and macOS are merging, but instead allowing for applications to be built on both easily. If Apple can pull this off, and I have zero doubts that they can, this will be huge. As a software developer, I can tell you that if the only thing that I have to do is some slight tweaks to a bit of code and I can migrate my application to another platform, that is a huge win; and once the apps come people will have no problems going back to the Mac. You seem believe Apple is going to pivot away from highly profitable premium hardware to less profitable services revenue. I doubt very much that is their plan. And macOS is bloated? Yeah no. I don’t even believe the tech meme that “Apple is more buggy!” The reality is all platforms are much more complex than the ‘90s or ‘00s. And there are more users. And there is more publishing exposure (the web, etc). But I doubt the assertion that they simply write crappier software today. Rose colored glasses, my friend. I have no beefs with my Mac’s security. I'm not sure I buy the argument that what happened to Motorola, Nokia and Blackberry can't happen to Apple's iPhone business. Certainly if Apple thinks this it's the height if arrogance. I agree that Apple is more diversified than two of those (Motorola had other businesses also) and Apple itself wouldn't just go away. But if such a thing were to happen to Apple's iPhone business I think many underestimate the impact it would have to Apple overall. I think it has been wise for Apple to keep and grow its diversification. I think it's move to services is very wise but could be improved (it's fairly evident they don't quite "get" web-base technology like Google, Facebook and Amazon...even Microsoft do). But the iPhone business rapidly shrinking in a short time would have a profound impact on the company, make no mistake about it. What seems most likely is that Apple has finally achieved a size, like Microsoft and IBM before it, where it will never cease to exist but might cease to be the headline grabbing poster child for technology and will just continue to deliver great products, perhaps divesting of some, acquiring others, inventing still others but not necessarily the coolest kid on the playground. People will just be less "ga ga" over it. iOS is OS X, when Jobs said OS X on a phone he wasn't kidding. Most of the Geeks to this day think they are separate iOS and OS X are not, they are one and the same. iOS is OS X, when Jobs said OS X on a phone he wasn't kidding. Most of the Geeks to this day think they separate iOS and OS X are not, they are one and the same. Yeah. What's even more interesting and amazing is that what eventually became iOS (and the iPhone) started out running on an (old) Mac Pro on a large table size screen. Not sure what web technology he is referring to but iCloud is a poor and expensive substitute to Google Drive. Ping, or whatever they call it, was no Facebook and thankfully retired. Did Designr saying they had better privacy than Apple? The Services media narrative is unfolding in 2019. Mims article was from ~2015. What happened at Apple, to be honest, over the years was the goal used to be to make the best computers in the world. And that was goal one. Goal two, we got from Hewlett-Packard actually which was "we have to make a profit". Because if we don't make a profit we can't do goal one. So, yeah, I mean we enjoyed making a profit, but the purpose of making a profit was so we can make the best computers in the world. Along the way somewhere those two got reversed. The goal is to make a lot of money and well, if we have to make some good computers well ok we'll do that... 'cause we can make a lot of money doing that. And, it's very subtle. It's very subtle at first, but it turns out it's everything. That one little subtle flip... takes 5 years to see it, but that one little subtle flip in 5 years means everything. Lastly, we're really big on making computers our friends can afford, and not all our friends are Larry Ellison. So, we've got to make computers that are really affordable and I think that's another place that Apple got really off-track and we are just driving that really hard.